With the combination of a Scrabble kick plus cooler weather landing upon the south this week, my mood has turned from Halloween to Christmas in the blink of an eye. Maybe it’s because our open house at Peacock Lane is November 5th, or maybe because I started on Halloween way back when it was still 100 degrees outside. No matter, we’re gonna start Christmas, m’kay? After making Scrabble Magnets, I wanted to use them in different ways, so ornaments came to mind. Start with the ribbon still on the spool & just melt the end to keep it from fraying. Next lay out your word long ways, and fold up your ribbon until it comes to the 2nd from the top. You don’t want to go all the way up, just kinda eyeball it. Hot glue the ribbon down, so it’s double thick. It works much better than just one layer. Use the tile as a measurement device, then cut the ribbon and treat it with the lighter again. Cut it long enough so you can double it, put the tile on top PLUS have a 1/2 inch loop for hanging. Then hot glue the ribbon down to have space for the remaining letter, plus a loop for hanging. Once the ribbon is hot glued down, then hot glue the tile on top like the others. Scrape off any hot glue oozes with your fingernail once they’re cool. Please, please for the love of 1st degree burns – WAIT until it’s cool! Ta da! You’re done 🙂 It takes longer to read this post than to make them, there’s a lot of steps, but it goes very quickly. I’m dreaming of a word tree… wonder if Mr. SCC will mind? Let it Snow Scrabble Ornaments – a different version that’s simply adorable! I LOVE those ornaments! I’m going to have to try this How cute! 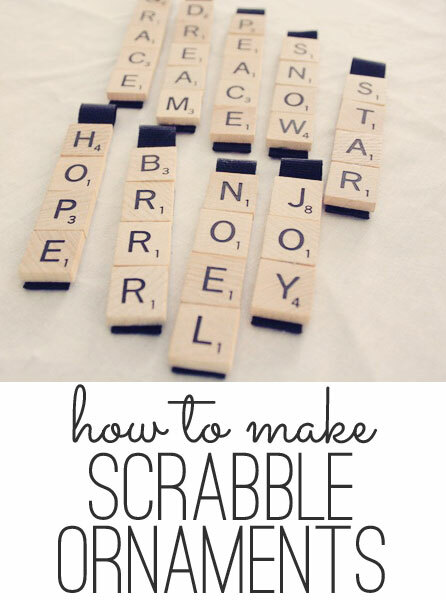 Yet another use for Scrabble letters…I think this one is my favorite! I’d love to make some. Now if I can just find some games at a garage sale or thrift store. Tough to do! You can find scrabble tiles on Amazon. What a cute idea! Thanks so much for hosting! You are so creative! I love the idea of a letter tree! Great idea for ornaments. Thanks for hosting. The ornaments are so cute! Thanks for hosting the party! Thanks so much for the party!! Love the new look!! I’m TOTALLY having a scrabble tree. I already have my regular tree and a teacup tree so this is perfect for our study! I love the scrabble ornaments! Now I have something to do with all of the left over pieces to an old scrabble game! Thanks for having me…I so enjoy your website, and keep your button on the side of my blog! Your ornaments are so cute! Thanks for hosting again. Love them… thank you for hosting! What cute scrabble tile creations! Thanks for hosting again this week — I’m off to explore all the fun link-ups! Ok…I’m grabbing a cup of coffee and going in!!!!! I love these ornaments! So cute! 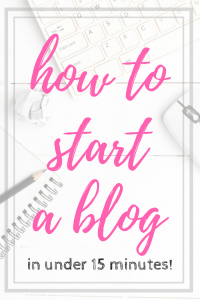 This is my first time linking up – thanks for hosting! As a Scrabble lover myself, I was quite taken with your ornament idea. I would love to try this if I can find an old set somewhere– don’t want to use the good one! omg so much inspiration here, i am simply drowning it! thanks so much for this party. 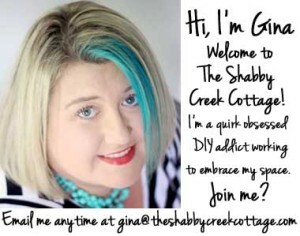 and just a reminder it would be an honor to have you pay a visit to my blog and check out my shabby chic giveaway. Love the new look! 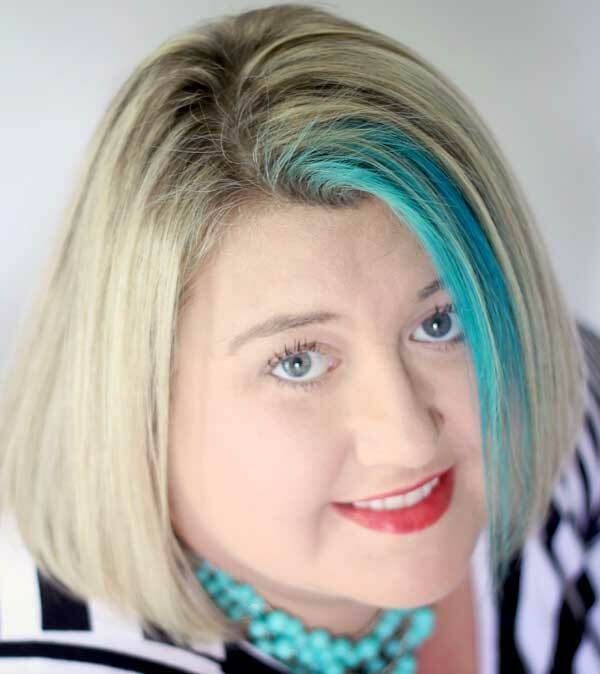 Used the new image for my backlink button!! Fun! You are so creative! I would have never thought of that. Thanks for hosting! Hi, so many great links to check out!! wow! This is my first time here linking up 🙂 Thanks for the party! Love your idea. I have lots of letter and think I might just have to make something like your ornaments. Thanks for hosting! LOVE your scrabble ornaments! You are simply a genius! I’ve seen these glued to the wooden trays that come in the scrabble game, but didn’t want to have to cut them up. This is so much simpler, and you can change the color of the ribbon. Brilliant! Hi! What was the size/ width of the ribbon you used? Thanks! Its a very cute idea! Thanks Brittny, I used 3 inch but you can use whatever you want, have fun making it!